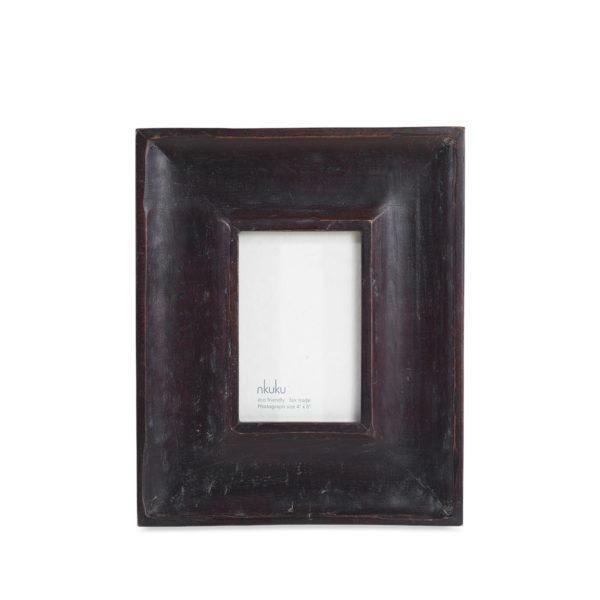 Lamu 6×4″ Wood Picture Frame. 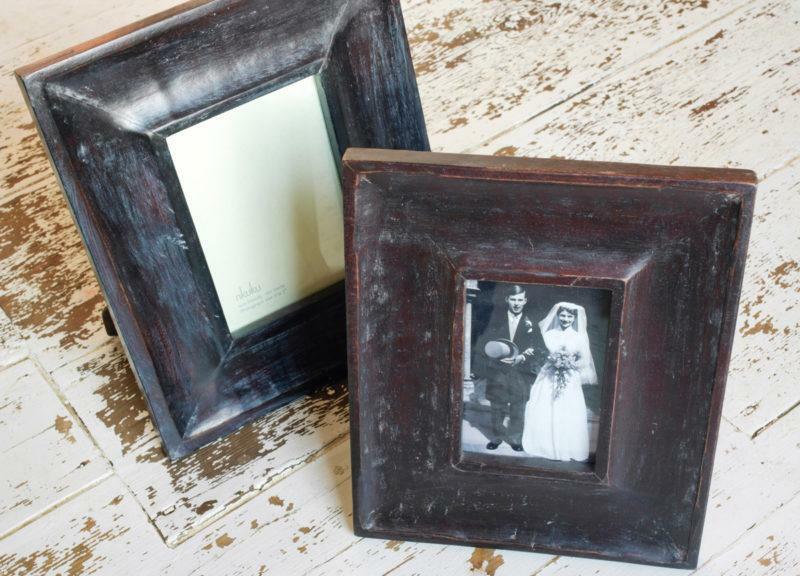 This sophisticated distressed dark frame has a luxuriously smooth feel to it. The darkness of the frame sets of the photograph within, particularly good for black and white images. Nkuku is an environmentally aware company that endeavour to create products using recycled and natural materials through sustainable methods of production. They consider the environment in everything they do and the impact of selling.